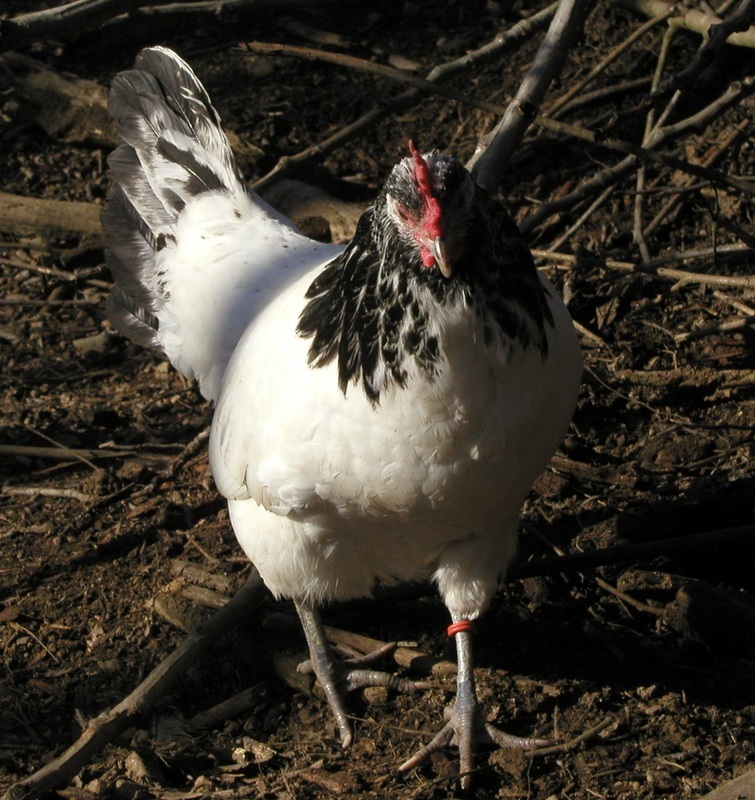 The striking black and white "belted" pattern must surely make the Lakenvelder one of the prettiest breeds of chicken around. Both Germany and the Netherlands claim to be the country of origin of this breed, and they have certainly been around in both countries for close to 200 years. Earliest mentions of chickens of this type date back even further, to about 1700. Lakenvelders are one of the smaller of the "large fowl" breeds of chicken, with grown roosters weighing around 2kg. The are primarily an egg-laying breed, and the hens are excellent layers of medium to large, white or cream coloured eggs. They do not normally go broody, though we have had exceptions! Lakenvelders are very active chickens, and really come into their own on free range. We chose all of our breeds for, among other things, their foraging abilities, but the Lakenvelders are truly the star performers here. Because of their smaller stature they may not lay eggs of the size you would expect from, say, a Minorca, but in terms of feed conversion they are probably the most efficient of our chickens. Independent-minded little souls, they often prefer to roost in the trees in all weather.